It is fundamental to the success of any business that prospective customers are aware of when it is open. 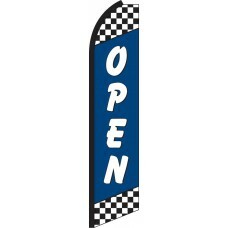 Our stylish feather flags are an extremely cost-effective way to communicate with customers that you are open for business. 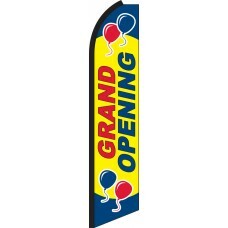 Each flag has been carefully designed by our team of experts to be aesthetically appealing and attract attention for your business in a tasteful way. 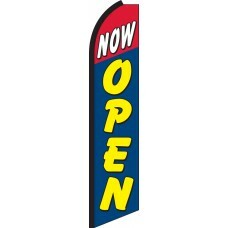 Every prospective customer who drives past your business is a potential opportunity to make a sale. 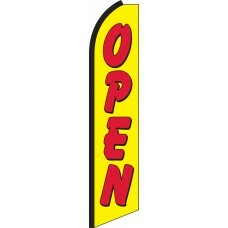 No business can afford to allow these "opportunities" to pass by without trying to capture the potential business. It is not a coincidence that the most successful companies have the largest marketing budgets. 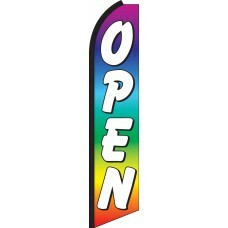 Our Feather Flags are the ideal choice for small businesses and large companies alike. 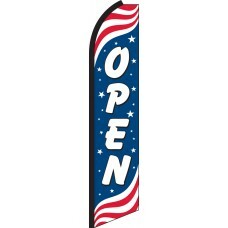 We provide cost-effective, striking designs: from the colorful to the patriotic; you name it and we stock it! 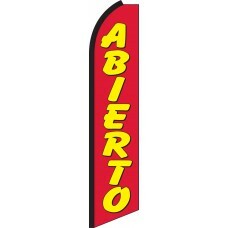 They are also perfect for new businesses that wish to advertise the fact that they are now open, or may simply re-assure customers that you are in fact a business and they are welcome. 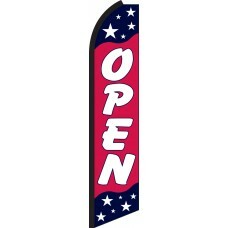 If you want to turn passersby into customers, then these are the ideal flags for you.